the 1998 Digital Millenium Copyright Act. ...Become A Fan On Twitter! 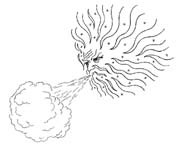 Soul work is slow work. Writing memoir is no exception in that regard. R J Van Dress is a mere sixteen when WWII breaks out. And when he hears the newsboy on the corner selling newspapers shout this news, he scarcely will fathom that two years later he will be part of the last battle to end the war, the battle for Okinawa. 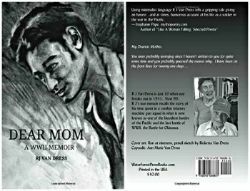 Eleven years in the making, mythopoetry.com, on behalf mythopoetics in culture, is honored to present to you now, "Dear Mom: A WWII Memoir", R J Van Dress, author, Water Forest Press Books, publisher; cover art: R J at nineteen, pencil sketch by Ricketta Van Dress; copy edit: Ann Marie Van Dress, introductionStephanie Pope. The book is $10 a copy and is on sale now through Amazon. 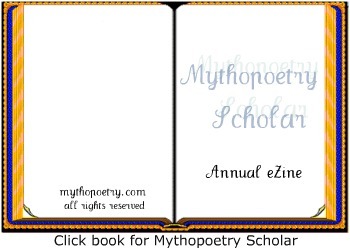 GINETTE PARIS: "How is Psychology a Mythology?" 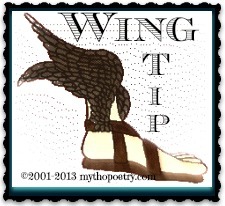 "A myth is a fantasy, a preferred lie, a foundational story, a hypnotic trance, an identity game, a virtual reality, one that can be either inspirational or despairing. It is a story in which I cast myself; it is my inner cinema, the motion picture of my inner reality - one that moves all the time. No diagnosis can fix the myth, no cure can settle it, because our inner life is precisely what, in us, will not lie still." ~Ginette Paris, from "How Is Psychology A Mythology? 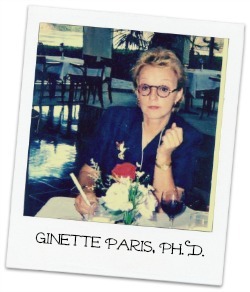 Psychologist, therapist and author, Dr. Ginette Paris is core faculty at the Pacifica Graduate Institute in Santa Barbara, California, and Research Consultant in the Somatics Program. Her book : Heartbreak: Recovery from Lost Love and Mourning(Mill City Press, 2011).